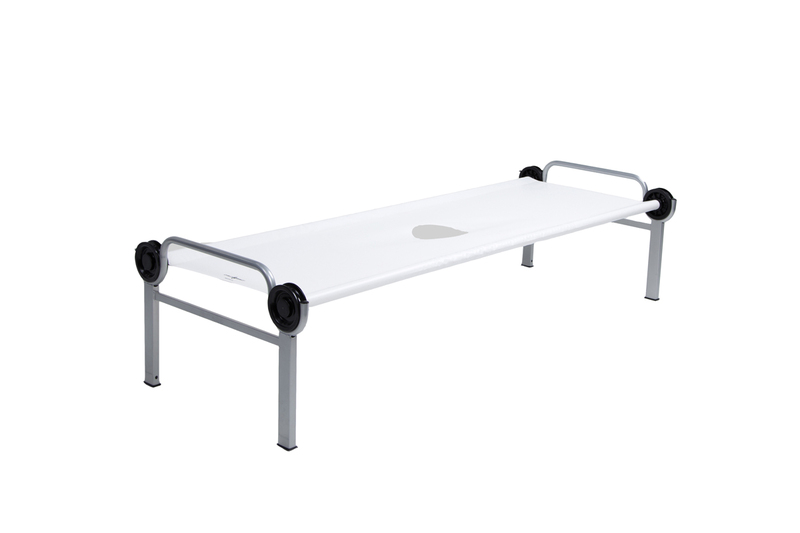 Product shown in Disc-Bunk configuration. It’s been said that disaster operations are all about logistics. Disc-Bed makes rapid deployment easy for mass care and sheltering. It ships flat and sets up quickly with no tools. 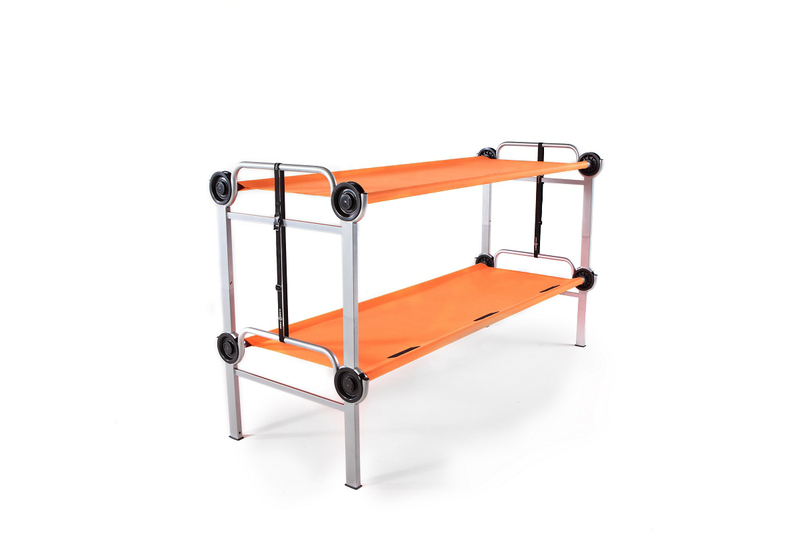 Its compact footprint allows you to assist more displaced persons in less space. With no need for a mattress and no annoying mid-bar, Disc-Bed was designed with hygiene and comfort in mind for patients, volunteers and the overall disaster area in mind. Add on accessories available including IV stand, mosquito net and frame. 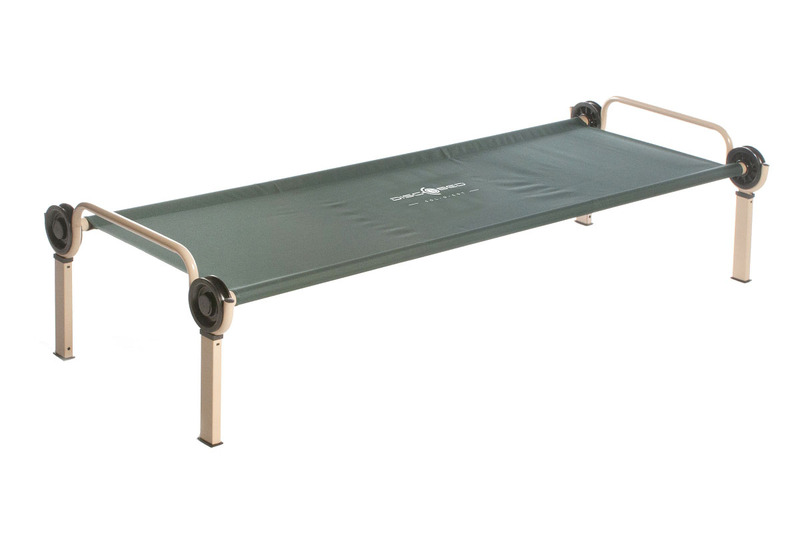 The Disc-Bed is ready to serve a variety of medical/relief environments with a removable, washable mat.